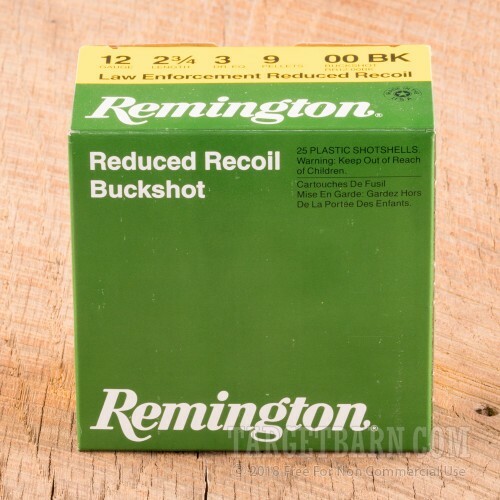 Remington has been manufacturing reliable shot for over a century, creating a reputation for producing quality and precision ammunition. 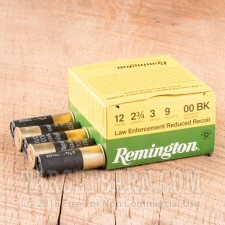 Their Law Enforcement Reduced Recoil 12 Gauge ammo is the preferred shotgun load for many law enforcement agencies. Perfect for training and target practice, these are also a prime choice for use as home defense rounds. 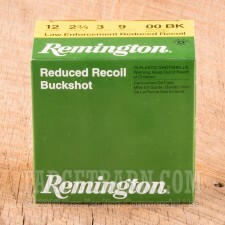 Reduced Recoil Buckshot loads lower felt recoil by 40 percent, allowing for better second shot recovery. This allows you to get back on target quicker and provides better accuracy for each subsequent shot. 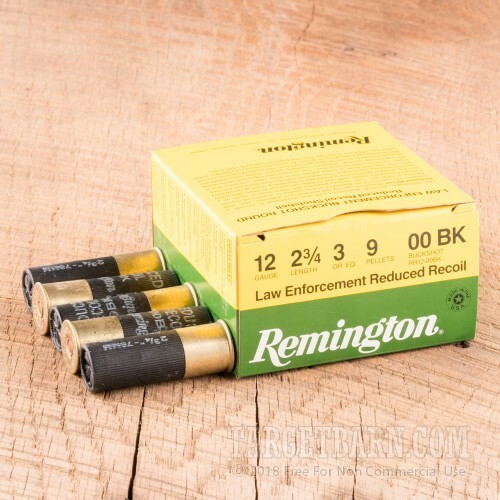 These 25 rounds of Law Enforcement 2 ¾ inch 00 lead buckshot feature Remington's patented Power Piston wad column, polymer buffering, and each shell is loaded with nine hardened 3% antimony pellets. 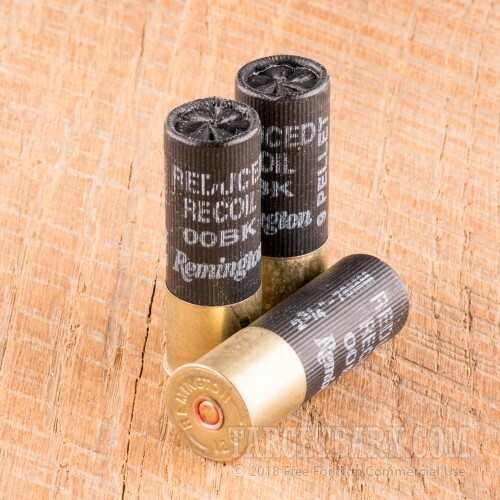 With shot patterns that are up to 25 percent more compact than standard buckshot, this ammunition provides a high level of accuracy. 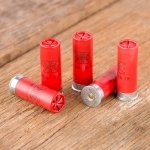 With a muzzle velocity of 1200 foot pounds, these rounds are capable of eliminating a threat with reliable, hard-hitting precision. Also, each shell is primer and mouth waterproofed for rugged durability and performance no matter the weather conditions.